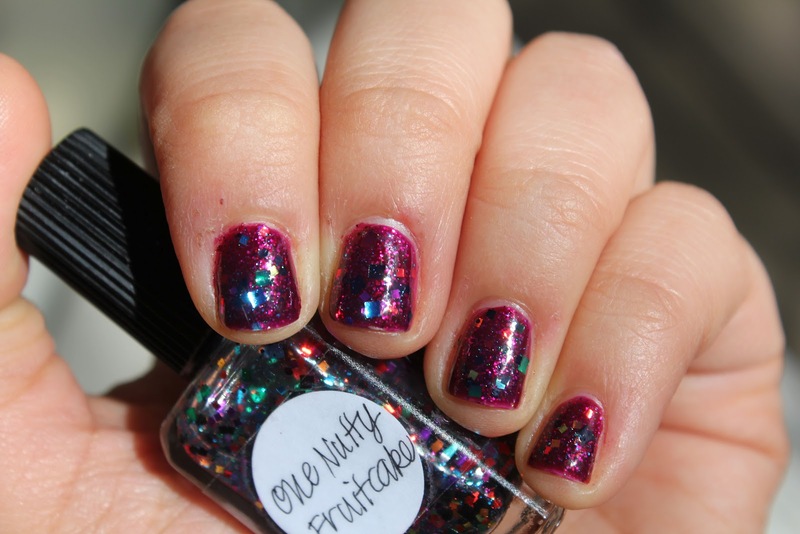 See Sarah Swatch: Roxy's Fruitcake! 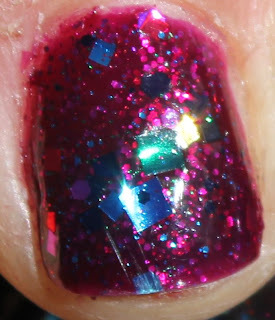 I put on 3 coats of Zoya Roxy and 1 coat of Lynnderella One Nutty Fruitcake for this. Can I take a second to sing the praises of Zoya Roxy?? It's gorgeous and I love how it looks on me and the formula is always great and the color is so juicy!! 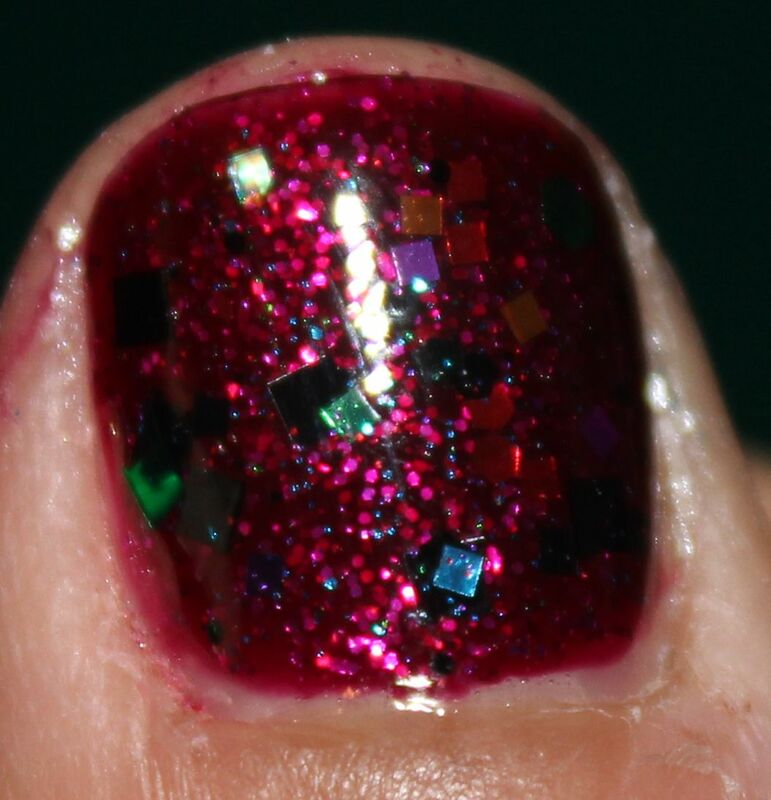 It looks like a sparkling berry mashed up and put on my nails. Top 20 status, definitely. 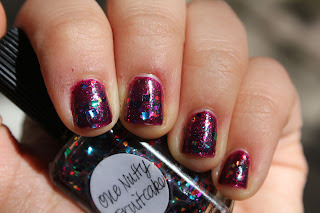 you have the best glitter close ups! looks awesome. 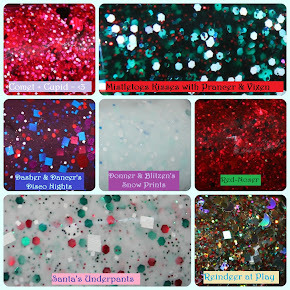 Zoya Roxy is forever on my wishlist.. just waiting for a sweet promo. 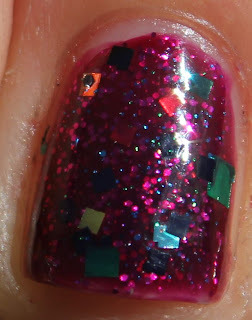 Zoya Roxy is beautiful, but i'm not to sure about those square glitters. Not my cup of tea. love roxy! 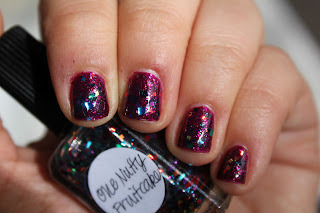 and square glitter is definitely one to get used to haha, i understand why it's not your cup of tea. speaking of which, i want tea. Soo pretty! You always have amazing glitters!